I’m in love with this wedding invitation suite I just came across on my favorite Oh So Beautiful Paper blog. 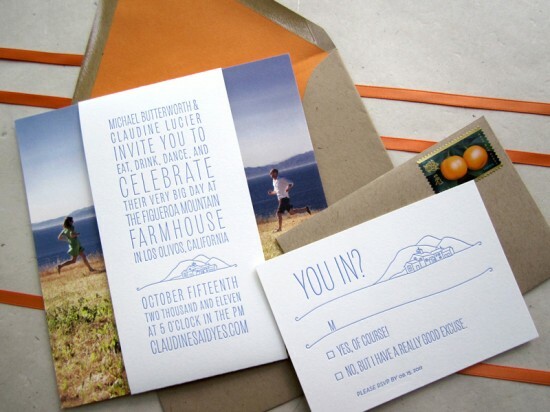 Not ONLY because the couple is getting married along the Central Coast (homeland shoutout) in Los Olivos, but because I’m drawn to unique wedding invites that really portray a couple’s personality. The couple used a photo of them running toward eachother and printed their event details on the belly band. So creative! 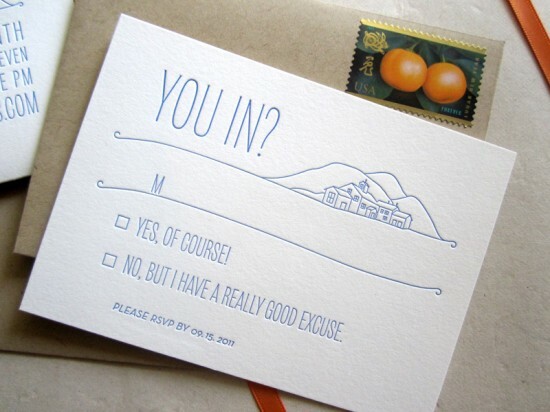 I love the casual and playful vibe of the invite mixed with the luxurious and classy letterpress details. 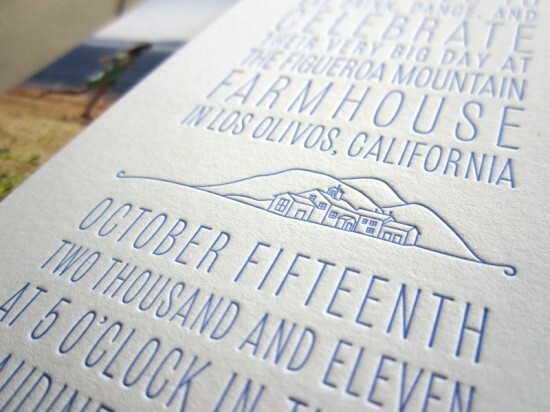 Find more details about the process and the designer on Oh So Beautiful Paper blog!